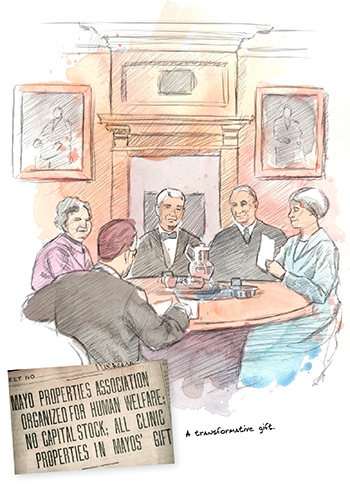 Mayo Clinic is a values-based organization. 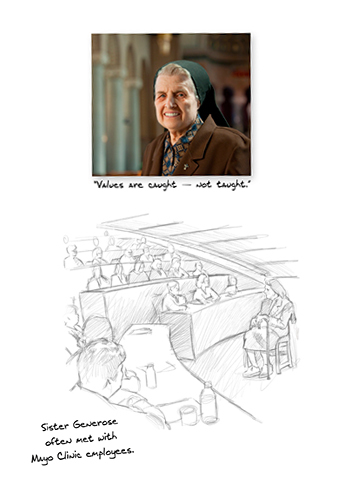 These values derive from our founders, the Doctors Mayo and the Sisters of St. Francis. 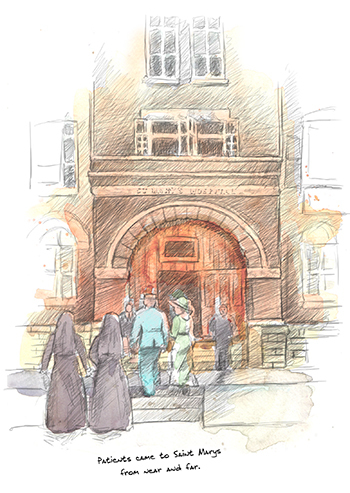 Over the years, many individuals and cultural traditions have enriched the life of our institution. 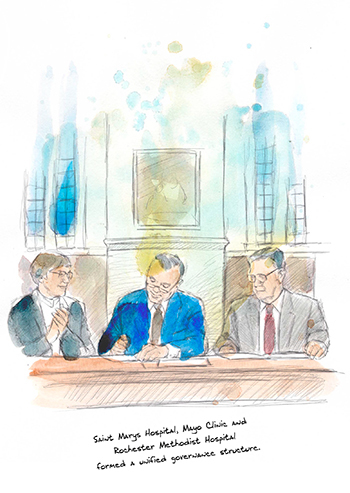 Today, the Mayo Clinic Values Council helps perpetuate the values at every location and ensure the continuing Franciscan legacy on the Saint Marys Campus of Mayo Clinic Hospital-Rochester. 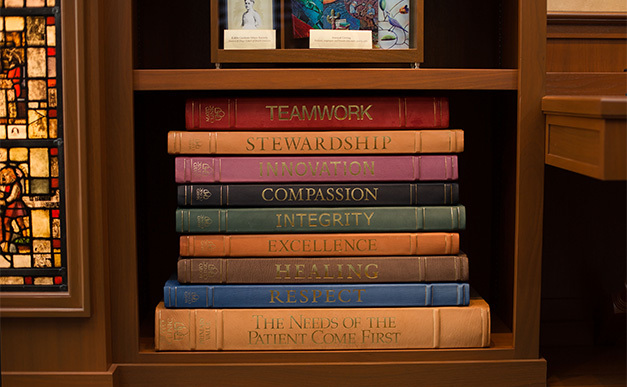 A helpful way to remember the Mayo Clinic Values is with the acronym RICH TIES (Respect, Integrity, Compassion, Healing, Teamwork, Innovation, Excellence, Stewardship). 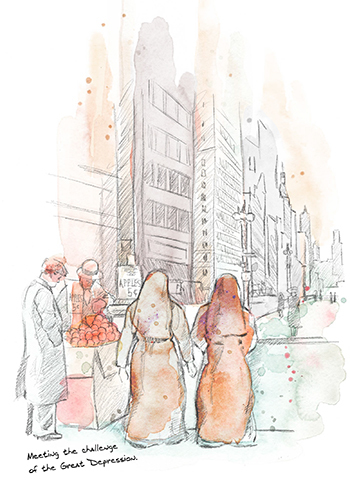 For patients and staff alike, experiencing the Mayo Clinic Values is akin to going on a pilgrimage. 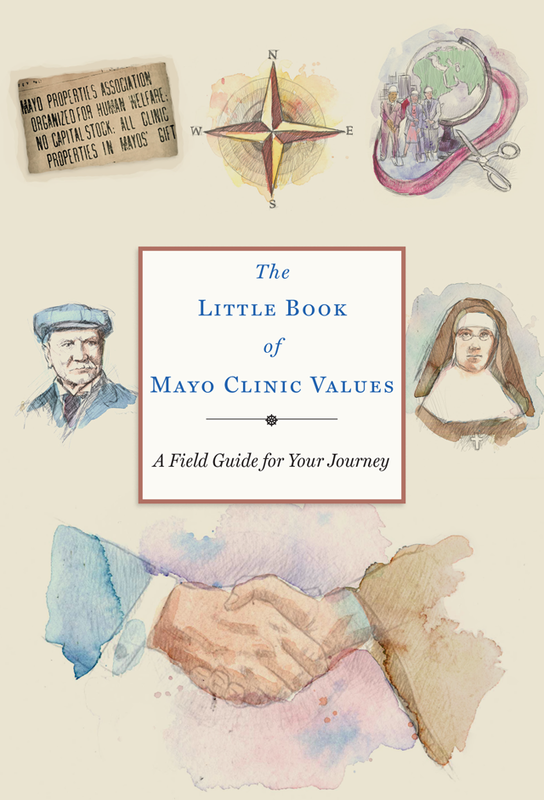 The Little Book of Mayo Clinic Values: A Field Guide for Your Journey is written in the style of a handbook or journal, telling Mayo’s history through the prism of values in action. 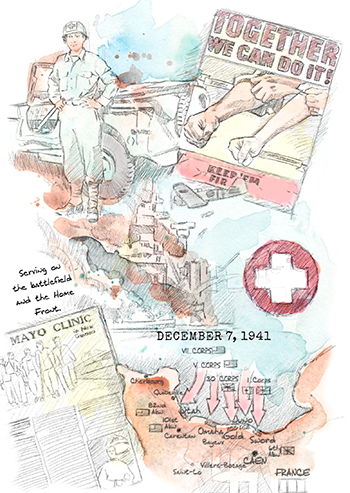 Made possible with generous benefactor support, the book includes original illustrations and blank pages where you can write your own reflections. Each chapter is included below in electronic format. Read online or print a copy. Along with the individual chapters, we’ve produced a brief film. Watch this 2:02 minute film with Robert Brown, Jr., M.D., chair of the Mayo Clinic Values Council, and Sister Tierney Trueman, coordinator of the Values Council. 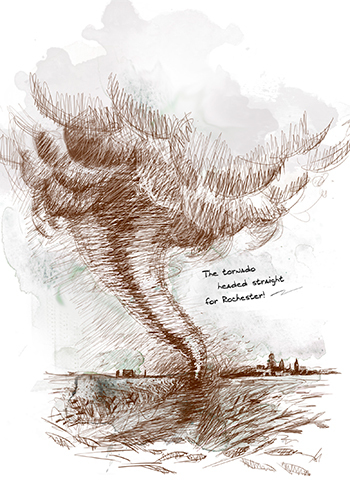 In 1883, a tornado devastated the prairie town of Rochester, Minnesota. 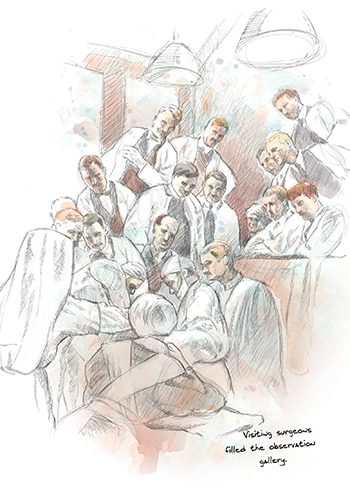 To meet this crisis, the Doctors Mayo and the Franciscan Sisters became unlikely partners in healing. Dr. Will and Dr. Charlie Mayo traveled throughout the United States and around the world to learn and share best practices in health care. The Mayo brothers and the Franciscan Sisters stood by one another when a rival hospital threatened to divide the city on religious grounds. 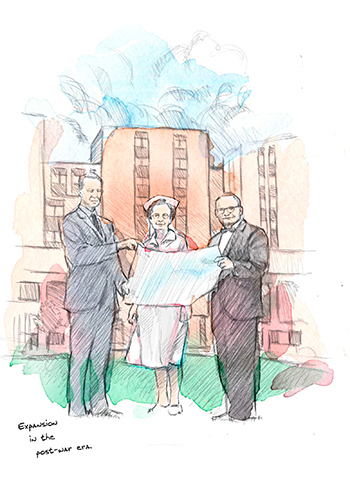 Dr. Will said he and his brother were “moral custodians” of “the sick man’s dollar.” Determined to give back to society, they donated their savings and assets of their practice to establish Mayo Clinic as a not-for-profit organization. After the attack on Pearl Harbor, many Japanese-Americans were sent to detention campus. Sumiko Ito found hope and new opportunity by becoming a nurse at Saint Marys. The design of Rochester Methodist Hospital set a new architectural standard for hospitals around the country.